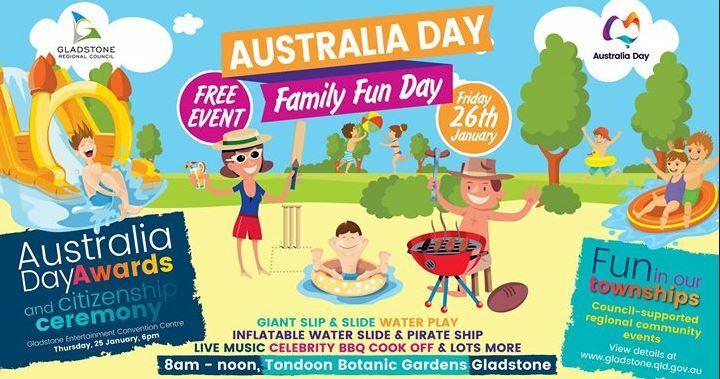 A misting tunnel, a variety of waterslides and a giant waterball arena are just a few of the attractions at the Gladstone Regional Council’s free Australia Day Family Fun Day on Friday January 26. Residents are reminded to take along a picnic blanket or chair, swimwear, towels, thongs, sunscreen, hats, water, insect repellent and sun-safe shirts. And Mayor Matt Burnett has been talking up his BBQ breakfast cooking abilities as he takes on fellow councillor Desley O’Grady, State Member for Gladstone Glenn Butcher and GAPDL CEO Darryl Branthwaite in the ‘celebrity cook-off’ which kicks off at 10:45 am. “I’ll leave no snag on the barbie unturned to stand on the winner’s podium,” he said. 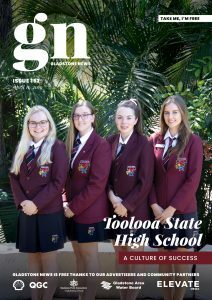 Other activities on the day will live music, bush poetry, a flag raising ceremony and the announcement of the 2018 Celebrate Australia Primary School Art Competition winners. Council-supported regional Australia Day events will be held at Bororen, Builyan, Captain Creek, Mount Larcom, Rosedale, Seventeen Seventy, South End, Turkey Beach, Ubobo or Yarwun.